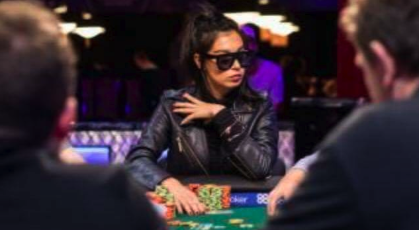 Despite only having played around 10 events lifetime at the World Series of Poker, rising poker pro Safiya Umerova became a bracelet winner in her rookie summer when she sat with all the chips at the end of the $1,500 no-limit hold’em shootout. In order to capture the title, the 28-year-old Umerova had to win three consecutive sit-and-gos. The Russia-born Umerova also had to beat established poker pro Niall Farrell heads-up for the bracelet. 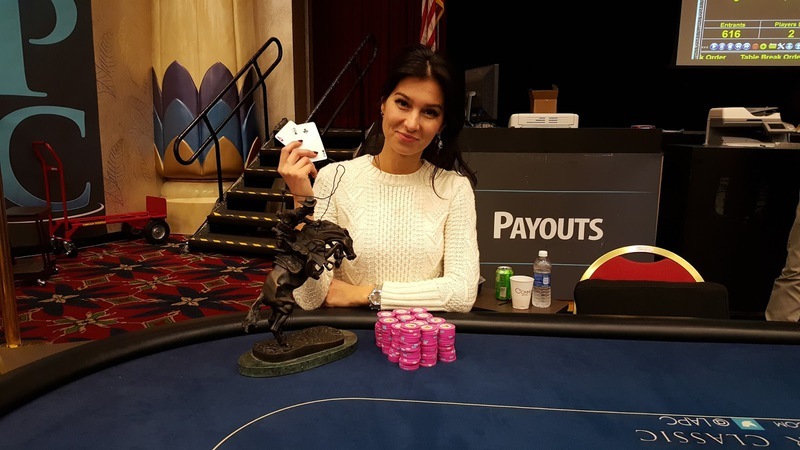 In addition to the piece of poker history, Umerova took home the $264,046 first-place prize. The win continued Umerova’s breakout year on the tournament circuit. In January, she won a prelim and finished runner-up in another at the L.A. Poker Classic. She also finished fifth in an event at the Seminole Hard Rock Poker Showdown in April. In total she now has more than $400,000 in live tournament winnings. She only began playing tournaments two years ago. 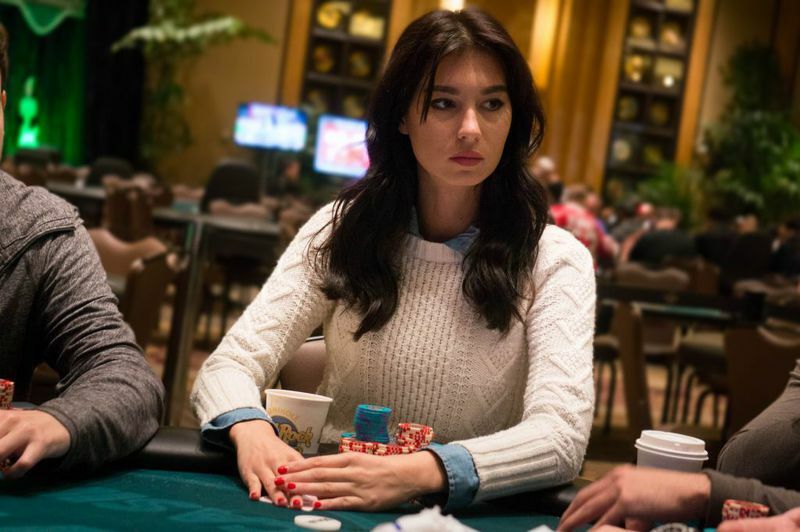 Card Player spoke with Umerova about her poker career and what she will be doing from here now that she owns a World Series bracelet. Brian Pempus: When did you find poker and what did you like about it? Safiya Umerova: I first saw it on TV. The World Series of Poker and the WPT caught my attention. So I started playing cash games in 2011 at local casinos here in Los Angeles, Hustler and the Commerce. I would go like once a week or every other week. It was just for fun. I wasn’t planning on becoming a professional poker player. For me, I was sending time with my friends. I was learning the game by observing what successful players were doing. It was trial and error, like everyone else does. When I started playing tournaments in 2014, I first thought that I could make poker my career. At that point, I started to put time into studying the game. This year in January, I started playing way more. I started to have more success. BP: What was it like winning a bracelet so soon after you started playing professionally? SU: It was surreal. Obviously, it was my goal, but I wasn’t prepared for it to happen in my first World Series. It is something that every poker player dreams of, but when it happens it’s incredible. I wasn’t nervous at the final table, I was just playing my game. I was happy to make the final table. For me, it was a big achievement. I was trying not to think about the bracelet and the big win because it would have put extra pressure on me. BP: Does winning one make you want more bracelets now? SU: For sure. I think that once you win a bracelet it does raise the bar, and I feel like I need to win more and more to validate my bracelet. Right now I am thinking the goal is to play against tough fields, which is naturally the next step to improve your game. I will probably be traveling more. I will soon be playing my first EPT. I’ll also keep playing smaller stakes. BP: Do you feel like the smaller buy-in tournaments are a great place to hone one’s poker skills? SU: Yes, I need to put way more hours into poker. I just started my career. It’s amazing how many playing hours professionals put in. I spend a lot of hours studying the game away from the table, but I still don’t find myself playing that much. Eventually I will. You know, I can’t afford to play so many expensive tournaments. I’ll still be playing smaller tournaments. I’ll be mixing it up. BP: Do you think you’ll put more hours in at cash games or stick to tournaments? SU: I do need to work on my cash game and put more hours into it, but right now I am focusing on the tournaments. I like them more, and I’m doing better in them, but eventually I’ll have to work more on my cash game. I’m not as comfortable with my cash game as I am with my tournament game. BP: Would you say you have an aggressive poker game? SU: I don’t try to play aggressive, but my game can be considered aggressive. I just try to make the play that is profitable. I don’t really force it or try to play aggressive, or try to play like someone else. Winning a bracelet definitely brought me some confidence. BP: Vanessa Selbst, who is one of the best players in the world and one of the most aggressive, finished 10th in the event that you won at the WSOP. Were you able to pick up anything by playing with her deep in that event? SU: I didn’t play with her until the last day. I was involved in a couple of hands with her. It was cool. I appreciated the experience. At that moment, I wasn’t thinking about winning. I was trying to play my best and enjoy the process. It felt great. BP: What makes you a good poker player? SU: I’m pretty confident in my game and have good instincts. My ability to learn from my past experiences quickly makes my growth in poker fast. I can’t overcome the experience of other players. They’ve played millions more hands than I have, but if you work hard and learn from your mistakes, you can catch up. BP: Even though you are trying to validate your win, are you also trying to keep things in perspective and not get too hungry for more titles because you could push things too hard? SU: For sure. I’ll still be playing the smaller stakes. I’m trying to stay rational with my decisions and my money. I take every tournament very seriously.